Travelodge first set out back in 1939 in the U.S. of A., inspired by the country’s rich motel history. It went from strength to strength, garnering strongholds in every single state until eventually it crossed the Atlantic in 1985. Since then Travelodge has made a name for itself as a world-class provider of budget accommodation, offering incredibly comfortable stays at sensationally good prices. Synonymous with a warm welcome and a good night’s rest, Travelodge has established itself as the nation’s favourite supplier of affordable accommodation. Weary travellers, rejoice! You’re guaranteed a sound night of slumber when you choose Travelodge. With hotels to choose from up and down the country, wherever you are you’re never too far from a nice warm bed and a great range of amenities. With popular locations including Cork, Galway and Dublin, Travelodge is the obvious choice for your time away. If no code needed, your discount comes included in the final price! Book in advance and select the ‘Saver Rate’ to get the best possible price on your Travelodge room. Do Travelodge rooms have wifi? Not only do all Travelodge rooms come with wifi but it is also totally free of charge! Does Travelodge have a blog? If you want to keep up with all the latest from Travelodge, and to get access to a wealth of interesting features and articles about the best Ireland has to offer, check out the Travelodge blog. What time do I need to checkout of Travelodge? Checkout is at midday, but a late Check Out option is available, with which you have until 2pm to checkout. Travelodge hotels offers the most important meal of the day for a small fee, simply select this option at checkout. 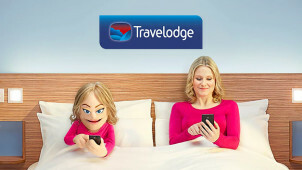 You can get in touch with Travelodge via the contact form here. You can read the details regarding cancellations, amendments and refunds here. You can find the specific opening times of your Travelodge here. If you’re looking for a home away from home, somewhere you can unwind in peace and experience serene comfort, look no further than Travelodge. With a king size bed in every room, as well as en-suites, TVs and free wifi, you’ll love your stay at Travelodge, and when you make your booking with a Travelodge discount code you’ll save yourself a pretty penny, too. With a huge number of locations up and down the Emerald Isle, Travelodge is the place to be. If you’re making a group booking you can save an absolute fortune on it when you book with Travelodge. Whether you’re organising a family getaway or a stag-do, a corporate event or maybe a wedding party, whatever the reason for your group get-together you’ll love how much you can save on the cost of your accommodation with Travelodge. Booking for a big group can be a bit of a hassle, so let Travelodge save you the stress of booking whilst also saving you money. If you’re away for business and need somewhere to hang your hat, have a look at the great savings that can be made at Travelodge for businesses. What’s more, shop with one of our Travelodge voucher codes and you’ll be looking at some serious savings. With hundreds of hotels to choose from and big comfy double beds by Dreamer, you’ve got a good night’s sleep in store, and with the range of business deals on offer you’re sure to find a price you’ll like.